For over seven centuries the Palazzo della Signoria, better known as “Palazzo Vecchio“, has been the symbol of the civil power of the city of Florence. Built between the late thirteenth and early fourteenth century to house the Priors of the Arts and the Justice Banner, the supreme governing body of the city, over time has been the subject of numerous expansion and transformation. Its current appearance is due mostly to the great works of renovation and interior decoration that were made in the mid-sixteenth century, to adapt it to the new function of the ducal palace to which Cosimo I de ‘Medici had intended. After the transfer of the Medici court at Palazzo Pitti continued to host the Wardrobe and various government offices, until in 1871 it became the seat of the Municipality of Florence. 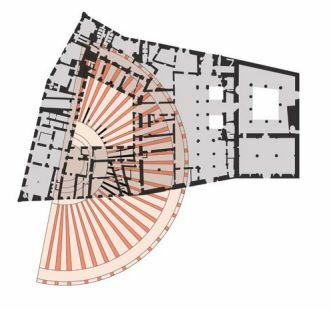 The foundations of the Palazzo Vecchio are based on the ancient Roman theater of Florentia dated between the end of the first century and the beginning of the II after Christ, a large theater that is estimated had a capacity between 8,000 and 10,000 spectators and which today, after a long campaign of excavations you can see the remains. In the theater, the auditorium was in Piazza della Signoria and the scene was towards the Via dei Leoni and stretched up to the palace Gondi. It’s interesting to notice in fact that Via dei Gondi the small street that takes from Piazza Signoria to Borgo dei Greci has that *strange* inclination. 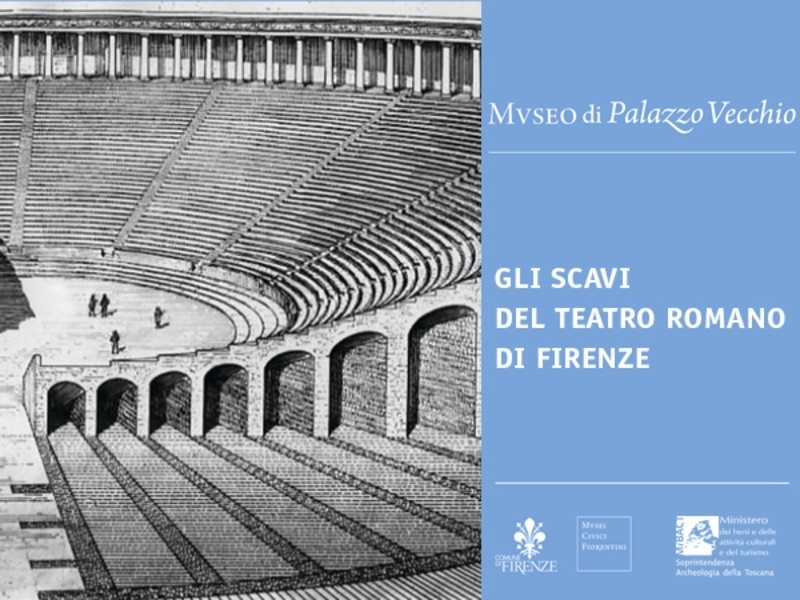 After a long process of digging and restoration is finally possible to take a tour underneath Palazzo Vecchio and enjoy the archaeological trail below the Palace. The trail is still partially unfinished and is not very long but it’s still very fascinating. There is also a support video that summarizes the evolution of the built and helps to better understand where you are and what you’re seeing. If you can’t wait to be in Florence for peeking into Palazzo Vecchio the Google Art Project has a walk-able tour of the Palace will come in help, but not yet of the archaeological trail.